We would like to have a Moving company logo made for our Business. 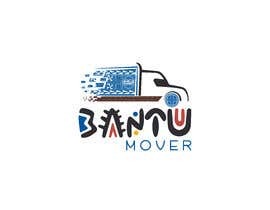 The logo name is: BANTU MOVER. The logo need to be unique original and appealing. The business owner of the company is from Africa “Bamileke “and we want the logo to reflect is origin. So if you make a quick search on google typing “bamileke ndop cloth ” and “bamileke traditional clothing “you would see and have a little idea of what and where to start . ADD THE CULTURAL DESIGN SYMBOL PATENT IN THE LOGO PLEASE and make it unique and african . Attached you will see the two main CULTURAL DESIGN SYMBOL PATENT print designs used in is culture to use in the logo design making. MAKE THE LOGO CULTURAL AND AFRICAN at first glance . do you belive this is $100 design ? What Is the Meaning of BANTU?